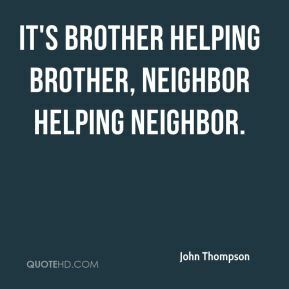 It's brother helping brother, neighbor helping neighbor. 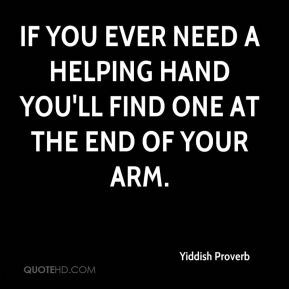 If you ever need a helping hand you'll find one at the end of your arm. 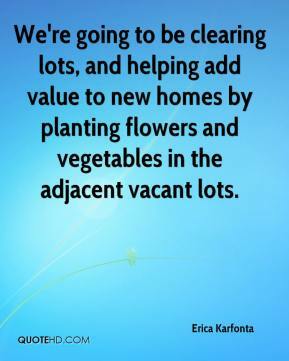 We're going to be clearing lots, and helping add value to new homes by planting flowers and vegetables in the adjacent vacant lots. 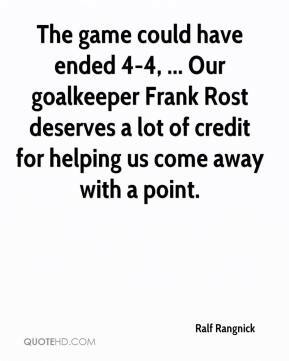 The game could have ended 4-4, ... Our goalkeeper Frank Rost deserves a lot of credit for helping us come away with a point. 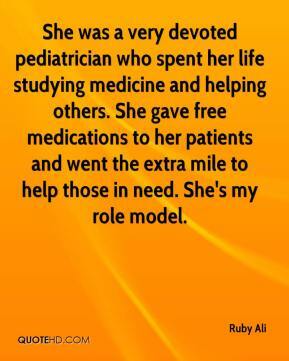 She was a very devoted pediatrician who spent her life studying medicine and helping others. She gave free medications to her patients and went the extra mile to help those in need. She's my role model. It was an idea, I thought, that could almost be written as a helping tool. People seemed to like the idea that we were doing something like this. 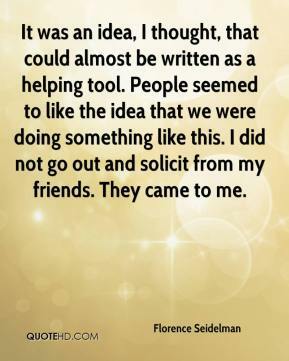 I did not go out and solicit from my friends. They came to me. There is nothing a woman can't do. 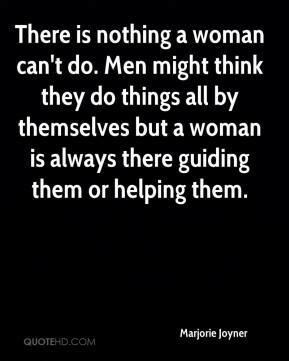 Men might think they do things all by themselves but a woman is always there guiding them or helping them. 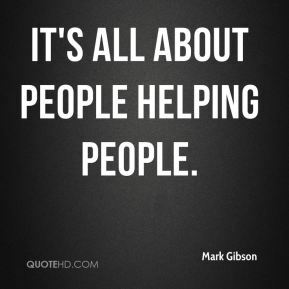 It's all about people helping people. 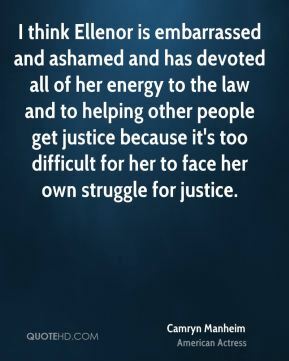 I think Ellenor is embarrassed and ashamed and has devoted all of her energy to the law and to helping other people get justice because it's too difficult for her to face her own struggle for justice. 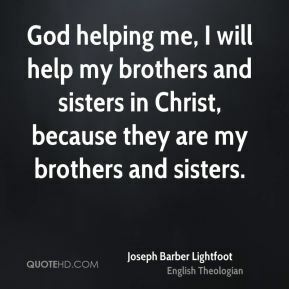 God helping me, I will help my brothers and sisters in Christ, because they are my brothers and sisters. She was moving the department away from the punitive aspects of the juvenile justice model to one of really helping kids and only incarcerating those who were a danger to society. 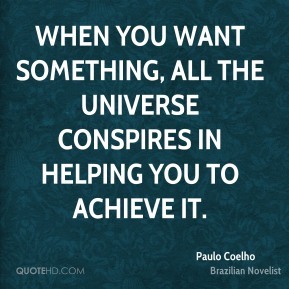 But I think one of the problems she faced was a lack of enough money to make it happen. Everybody enjoys coming to The Villages, ... There's no push, push, push, push. Everybody has a ball helping us out. 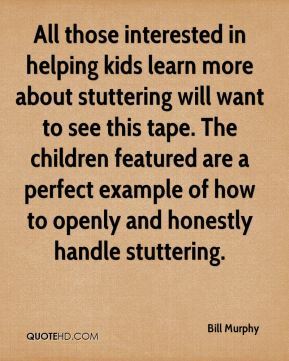 All those interested in helping kids learn more about stuttering will want to see this tape. 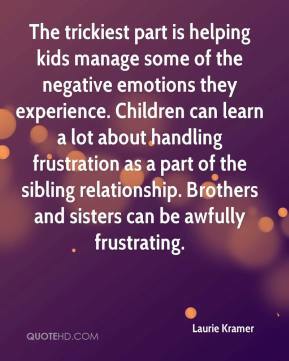 The children featured are a perfect example of how to openly and honestly handle stuttering. 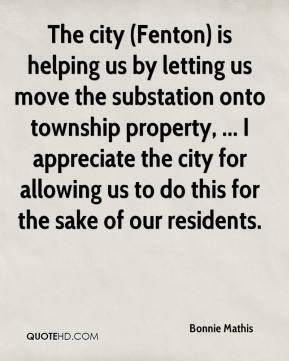 The city (Fenton) is helping us by letting us move the substation onto township property, ... I appreciate the city for allowing us to do this for the sake of our residents. 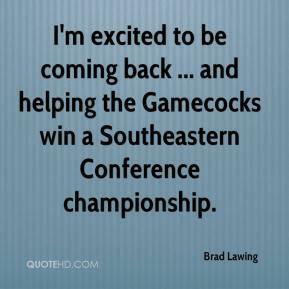 I'm excited to be coming back ... and helping the Gamecocks win a Southeastern Conference championship. 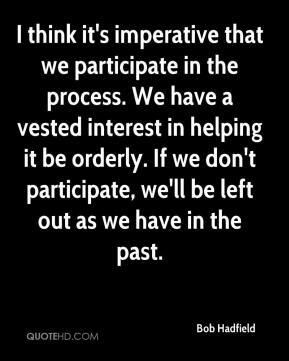 I think it's imperative that we participate in the process. We have a vested interest in helping it be orderly. If we don't participate, we'll be left out as we have in the past. I'm very proud of helping to bring about the three-class system in South Dakota. It provides options for more players to be seen, more opportunities for players, cheerleaders, bands and cheering sections. The thing we tried to stress in the beginning was defense. 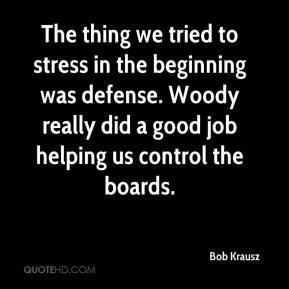 Woody really did a good job helping us control the boards. Defense is turning into offense. 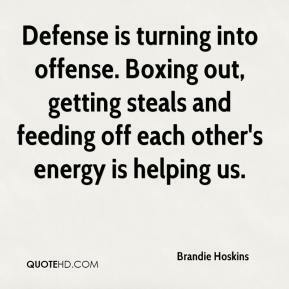 Boxing out, getting steals and feeding off each other's energy is helping us. 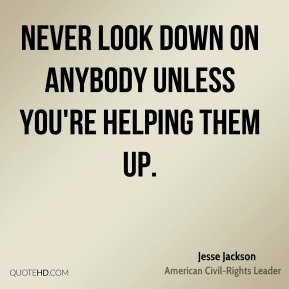 I am looking forward to coming to Columbus and helping any way I can. I was quite enjoying the time, frankly. 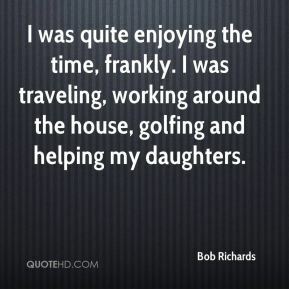 I was traveling, working around the house, golfing and helping my daughters. 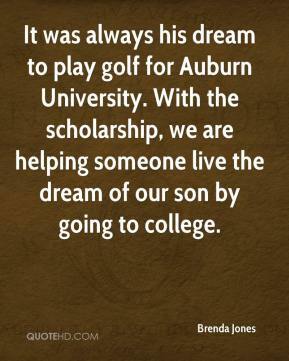 It was always his dream to play golf for Auburn University. With the scholarship, we are helping someone live the dream of our son by going to college.